These past two months have been intense. Still are. Stressful, happy, exciting, disappointing moments alternate at a pace I can hardly keep up with. In all this jumble, I have missed terribly the peace and joy of posting a recipe. So, here’s my break from the craze. This recipe is the result of a mistake. I asked for chicken but the hubby brought Cornish hens, which I had never cooked before but looked fun to try. 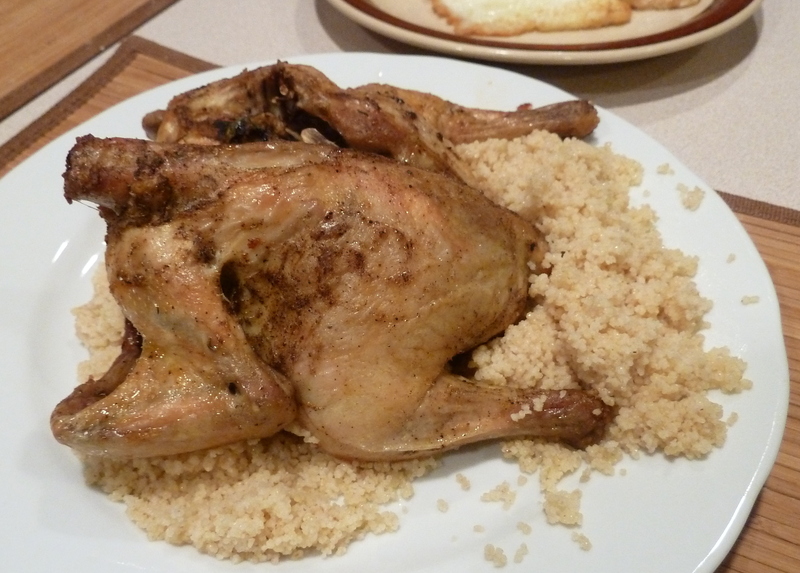 The recipe is basic but it turns out that Cornish hens are tastier than chickens. Crunchier and no blood on the bones. The recipe is pretty simple: Wash the hens (you will need 2 for a family of 4), rub your favorite herbs, brush them with a little bit of butter and roast them at /190C for about an hour or until nicely browned. I used salt, pepper, and rosemary. 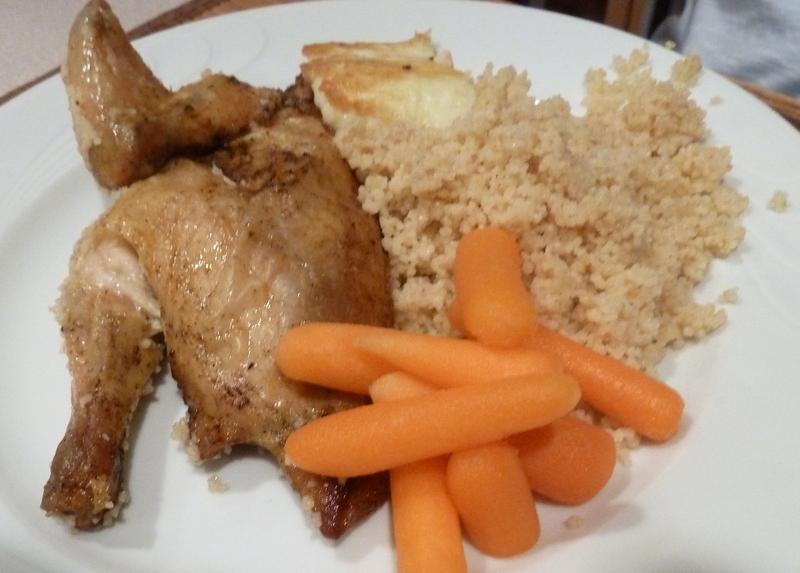 I served the hens with couscous, butter, and grilled haloumi, which I just happened to have in the fridge. The dish is a keeper. Easy to serve, too. You just cut the hen in two. Great idea, Eleni! Will try it tonight! Hey, welcome to mydinnertoday!!!! So good to see you here. Eleni, I have been following your recipes for quite some time now and I have also tried a couple of them! Delicious! Keep inspiring us please! Thank you, Valia! I’m glad you like my recipe book and feel lucky to have such an encouraging friend. you are the best at everything you’re doing!